The Walking Dead seasons 9 has come out. As a big fan of this TV show, you must not want to miss every episode of The Walking Dead seasons 1-9. The best way to enjoy the whole The Walking Dead TV series is to download The Walking Dead series for watching offline on TV or devices. No worry! Here we share you the best way to download all the The Walking Dead episodes from any video-sharing sites. iTube Studio is the easiest way to save all The Walking Dead seasons from 1 to 9. This tool will allow you to grab various online videos from sites like YouTube VEVO, Hulu Plus, Goolge Video, Metacafe, Vimeo, and 1000 more with just a few clicks. And for multiple videos download, you can set automatic shutdown or sleep mode for your computer and leave it on to download TV series. What’s more, you can convert the downloaded videos to any formats that fit your portable devices so that you can enjoy The Walking Dead episodes on the go. The following step-by-step tutorial will show you how to capture the videos. 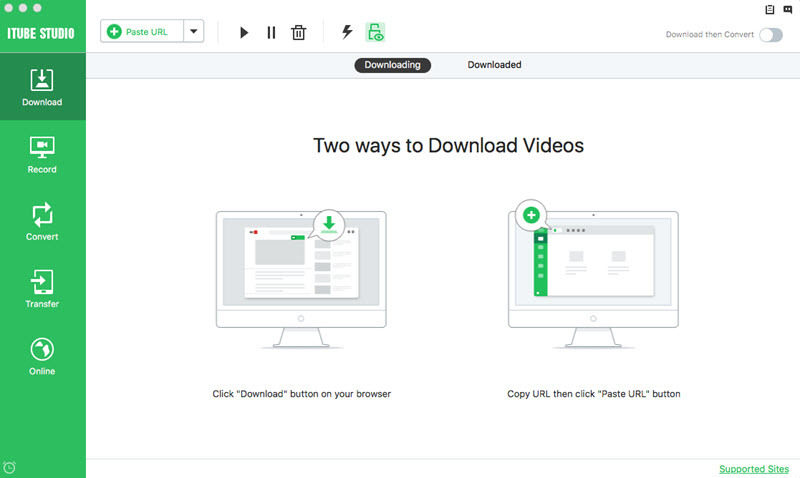 Download videos from 10,000+ sites in 3X faster speed. Allow batch download and 1 click download YouTube playlist. Convert videos to any video and audio formats without quality loss. Optimize preset for iPhone, iPad, iPod, Android devices and players. 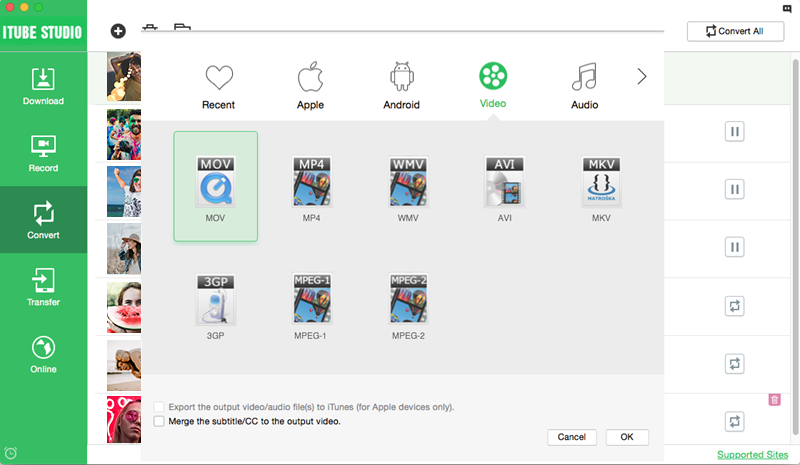 Transfer videos or TV shows to your iPhone, iPad and Android devices. 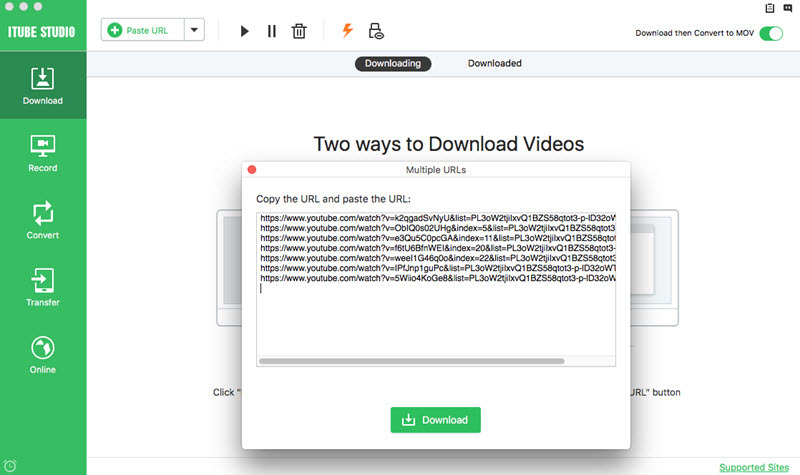 This video downloader is easy-to-use and very useful for you to capture any online videos for offline playback and video collections. You can use it to download all The Walking Dead seasons on your Mac OS X 10.14 macOS Mojave, High Sierra, Sierra, EL Capitan, Yosemite, Mavericks, Mountain Lion, Lion, Snow Leopard and Windows 10, Windows 8, Windows 7, Windows XP and Windows Vista. After downloading the program, you can follow the easy instructions to complete the installation process. After that, the program will launch automatically to give you access to the main interface. You can open your browser and find the TV show. There will be three options to capture the videos. 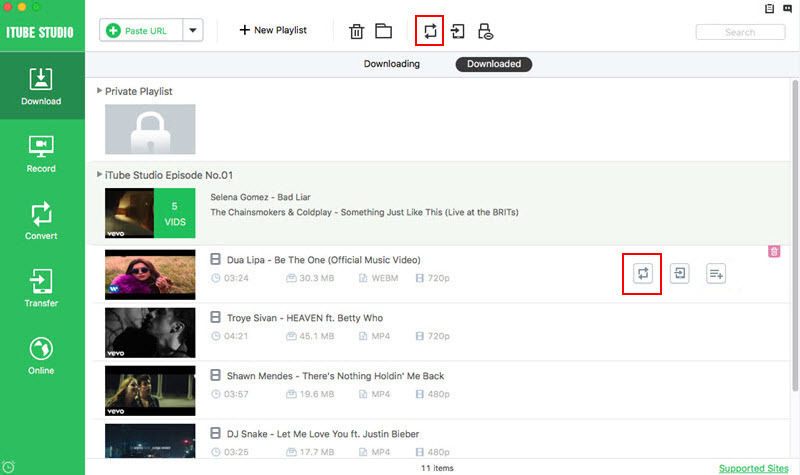 1) When you play the video, you will see a "Download" button on the video windows. 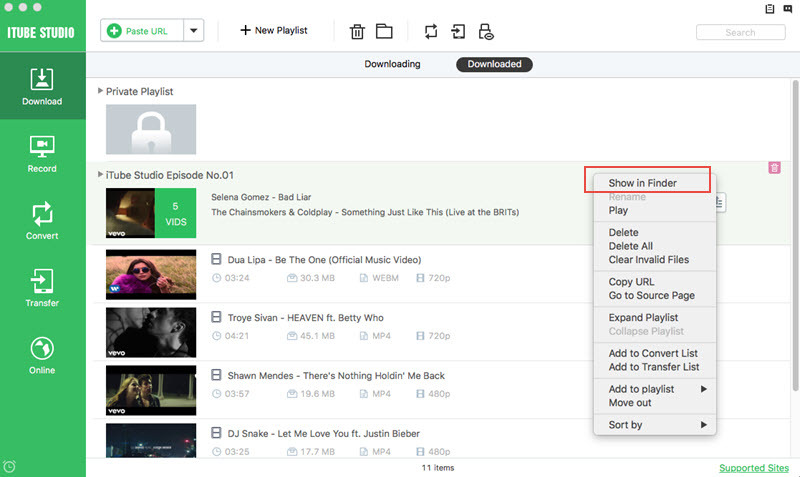 Now you can directly click on the button and add the video to the download queue. 2) You also can copy the video URL and navigate to the main interface of the program to click the "Paste URL" button. The program will capture the video immediately. 3) Or directly drag the direct video URL to the program dock, and then the program will load the video and start to download it. In the "Downloaded" tab, you can check the videos and TV shows you have downloaded. If you click on the "Add to Convert List" icon, you can add the video to the "Convert" menu for conversion. And open the "Convert" menu, you can click the "Convert" button and choose your desired output format to convert the video. After that, you can transfer the The Walking Dead videos to your portable device to watch them anywhere. 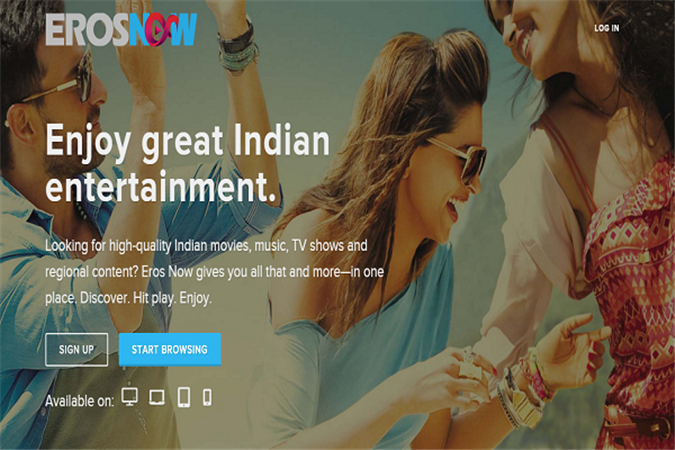 Get this recommended program right now if you want to enjoy your favorite TV shows. You can use it to grab shows as many as possible. The Walking Dead Seasons have episodes which are based on a comic book series with the same name. This show is about a small number of survivors who are living in the aftereffects of a zombie apocalypse. So far, there are three seasons. The first season occur mostly in Atlanta’s metropolitan area. The second and third features the surrounding country area of northern Georgia with the survivors searching for a safe haven to get away from the scuffling groups of predatory zombies who have an infectious and will devour all living thing. Rick Grimes acts as the group leader and he was the deputy sheriff prior to the zombie outbreak. The Walking Dead series was created by Robert Kirkman and has been developed by Frank Darabont. It is an American television series that is in the horror and drama genre. The main actor is Rick Grimes and Andrew Lincoln plays this character. He is usually the Sheriff's deputy who wakes up from a coma to a world infested by zombies. He then finds his family together with other survivors and leads the group as they strive to survive the new world of zombies and hostile groups. Between season 1 and 6, the group grows in number as some members like Shane and Beth die. The group had initially tried to go to the CDC to find a cure but they eventually gave up after arriving there and finding no hope. They also face hostile groups like the town of Woodburry under The Governor's leadership, the cannibal group at Terminus, the group of officers in a hospital in Atlanta and the Saviors. The group has been able to conquer all these hostile groups but the Saviors still remain an imminent threat. The story of the hostility of the Saviors continues in the 7th season. In the 7th season, Negan kills Abraham and Glenn with his baseball bat that has barbed wire all around it "Lucille". Negan then realizes he had not yet broken Rick and tests him by asking him to cut his son's arm. When Rick finally breaks and is almost cutting Carl's arm, Negan stops him and then continues to test Rick. Rick agrees to give Negan his tribute as Negan takes Daryl to his base where he is tortured and imprisoned. The group then returns to Alexandria as Maggie goes to the Hilltop with the help of Sasha. Carol and Morgan are received in a settlement called "The Kingdom". Here they meet the King, Ezekiel who has a tiger for a pet, named Shiva. Morgan realizes that the Kingdom provides food to the Saviors under duress, just like the Hilltop. Ezekiel has however kept this arrangement secret from his subjects. Heath and Tara go for a supply run and end up separated. Tara then finds a group named Oceanside. This group had been under the rule of the Saviors before they fought them and lost and every man from the group had been killed. Tara makes a promise not to tell about them and makes it back to Alexandria against their wishes. Negan goes back Alexandria before the scheduled date and takes all their guns and half of their supplies. Negan's top lieutenant named Simon also goes to the Hilltop with some Saviors to take half of what they owned. As they depart from the premises, Jesus and Carl hide inside one of their trucks. Carl then tries to take out Negan but fails. Negan instead shows Carl around the Santuary and later takes him back to Alexandria. When Negan arrives at Alexandria with Carl, Spenser attempts to talk Negan into killing Rick so that he can be leader but Negan kills him. Rosita then tries to take a shot at Negan but misses and shoots Lucille. In retaliation, Negan kills Olivia. Negan then takes Eugene to his base after realizing that the bullet was home made. Rick after witnessing this, travels with others to the Hilltop to meet Sasha and Maggie. He also meets Daryl who had escaped the Sanctuary by the help of Jesus. They all agree to go to war with Negan. Andrew Lincoln is an English actor who has made his name by starring in The Walking dead as Rick Grimes. His first big role was in This Life, a BBC drama. He then played as Simon on Teachers, a Channel 4 sitcom program. 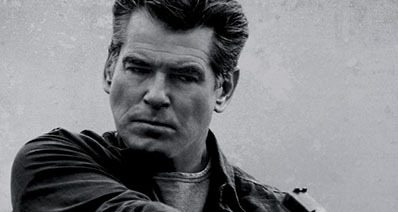 He also acted as Mark in Love Actually, a romantic comedy in 2003. Other movies that he has acted are Heartbreaker, Human Traffic, Boston Kick out, Made in Dagenham, Enduring Love, Scenes of a sexual Nature, Gangster No 1, Hey Good Looking!, Moonshot, These Foolish Things, The Woman in White, Whose Baby?, Offending Angels and Lie with Me. Download The Walking dead and watch Rick Grimes as he leads his group through the toughest of times.